Looking for the perfect pairing for your new Judge? 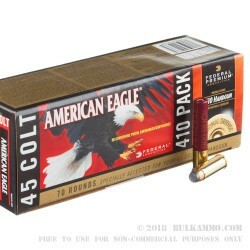 This package of Federal American Eagle’s .45 Long Colt/.410 shotgun ammunition pack contains 50 rounds of jacketed soft point .45 Long Colt and 20 .410 shotgun shells and is an ideal package for practicing to shoot your Judge with target rounds-- while saving the .410 for self-defense. The grain weight of the .45 Long colt is matched to recreate the shooting experience of the .410 as accurately as possible. The .45 Long colt contains a 225-grain jacketed soft point projectile, loaded into boxer-primed, noncorrosive, reloadable brass cases. 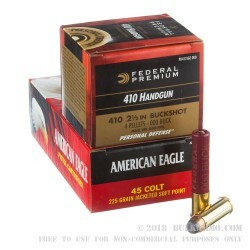 The .410-gauge shotgun shells feature four pellets of 000 buckshot loaded into a 2 ½” shotgun shell and are great for home and self-defense. 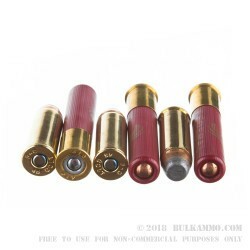 The .45 Long Colt is capable of a muzzle velocity of 860 FPS while the .410 gauge is capable of 850 FPS. 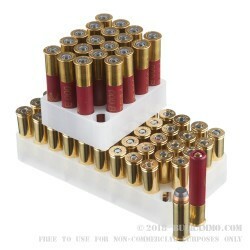 Federal, since 1922, has manufactured quality, reliable ammunition in Anoka, Minnesota. Their target loads are a popular choice among shooters the world over and are ideally suited for anyone looking for a consistent, high performing cartridge, whatever their needs may be.